As Cambrex focuses solely upon small molecule chemical development and manufacturing, we believe we are uniquely placed to provide expert insights on manufacturing and investments, chemistry and technologies and the market and outsourcing trends that are impacting and changing our industry. 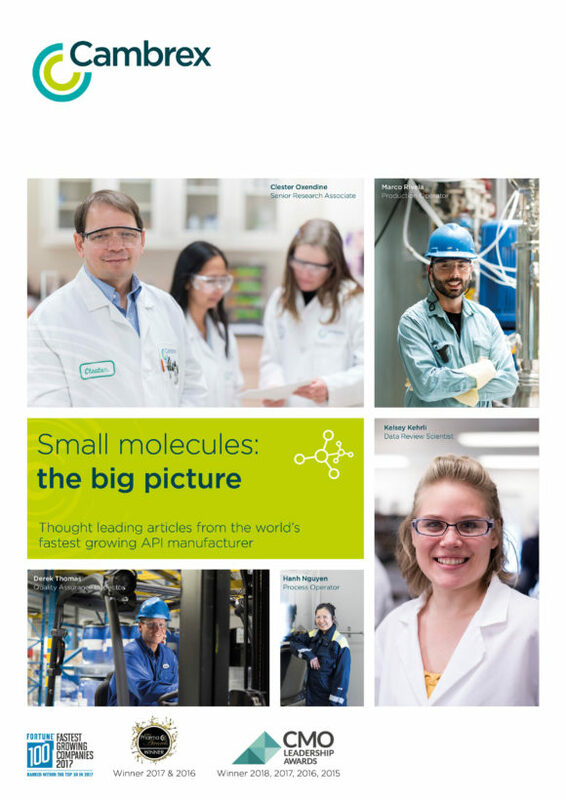 “Small molecules: the big picture” provides more than 60 pages of a selection of thought leadership articles our experts have contributed to which have been featured in global trade publications. Download the “Small molecules: the big picture” eBook to discover why Cambrex is one of the biggest names in small molecule APIs.